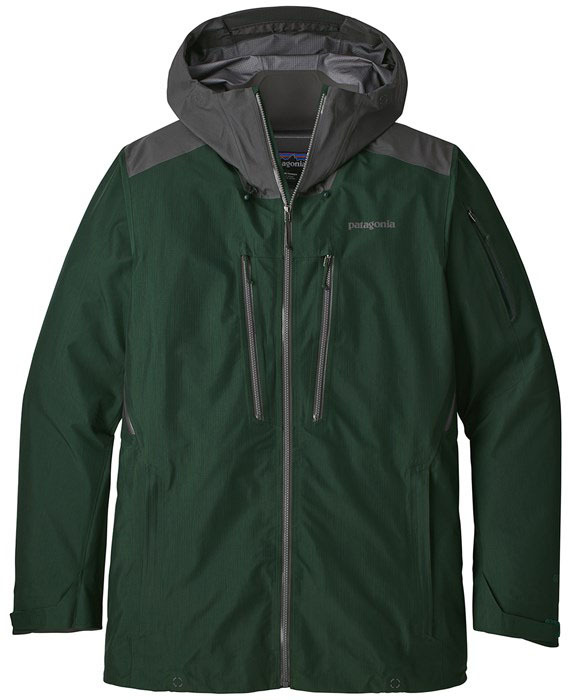 The Patagonia Powslayer Men’s Jacket is their flagship jacket with all their tech. It’s for that rider who lives to ride in the backcountry but also see’s themselves at resorts often and both have a lot of wet weather happening. 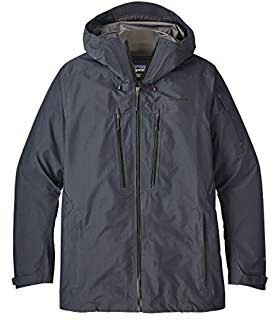 It’s very expensive but has a excellent construction, one of the best warranty’s in the business, is super light/thin and has some of the best waterproofing/breathability out there. Maybe the only minor nitpick is the crinkly noise you get when moving around but it’s a very small price to pay for a jacket like this. Fit: This has a little more of a tighter fit than many of the Patagonia Jackets but it’s still not super tight. Hood: I personally love the contour hood because it can protect your whole face better than most or all articulating hoods. I just love how they fit around the goggles so well and protect all of my face from the elements. Insulation/Warmth: None here. This is just a barrier between wind and weather. Waterproofing: 3 Layers and Gore-Tex is pretty bombproof. 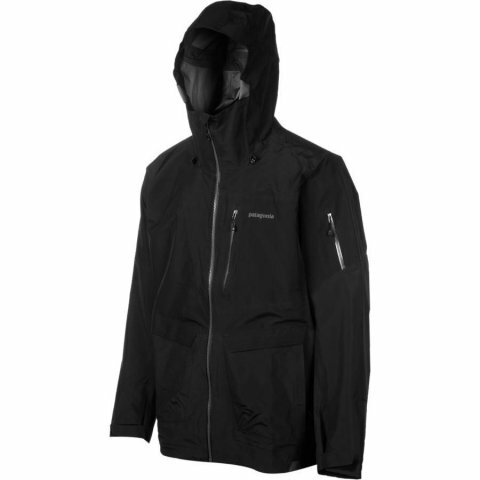 Breathability: Now Gore-Tex doesn’t quite have the breathability that it does compared to waterproofing but it does regulate moisture from inside pretty well. Overall: The Patagonia Powslayer is a direct competitor to the Burton AK 3L Freebird and has the same stretchy lightweight fabric. 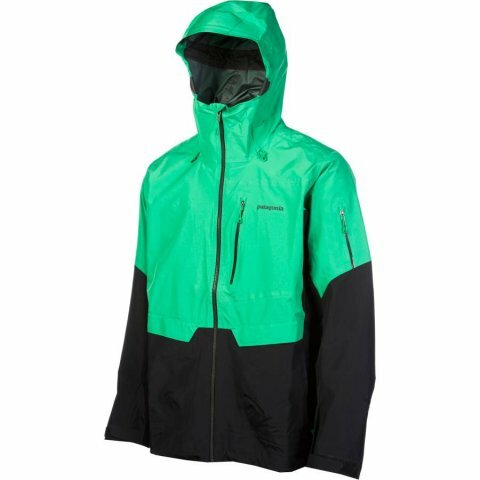 To most of us at The Good Ride the Burton Freebird is the call because it’s always nice to be loyal to a company that is 100% snowboarding but if the color or fit is right for you this could be a great jacket and they do cater to snowboarders as well as skiers. 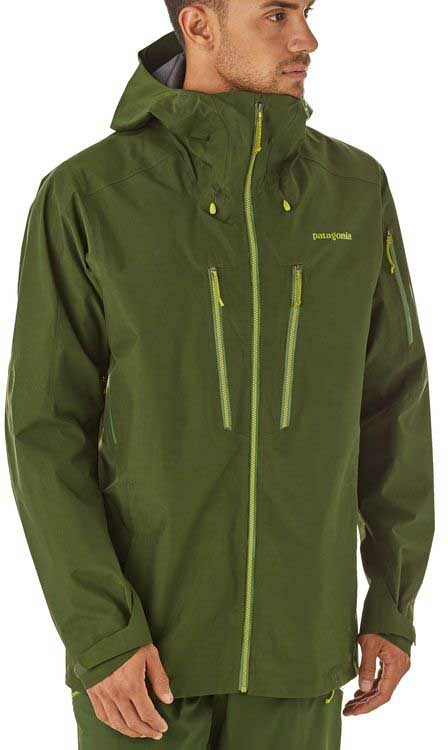 We try to get as many images of the Patagonia PowSlayer Men's Jacket, but forgive us if they're not all there.